Flying Clubs have become an integral part of the aviation industry due to their ability to create an affordable ownership option for pilots. For over 50 years, the Octopus Flying Club has been catering to the pilots and student pilots of the DC Metro area. Recently, this flying club continued its growth by adding new aircraft and a second location in sunny Florida! Adopting their name from eight original members, the Octopus Flying Club is friendly and flexible. Allowing student pilot memberships, no rental period minimums and multiple aircraft, the club will fit the needs of most pilots. The club also allows modern online scheduling and 24/7 access to its four aircraft in two popular locations. Octopus’s Maryland fleet resides at Montgomery County Airpark (KGAI) in Gaithersburg, MD. The aircraft consist of a Piper Warrior, Piper Arrow and a Socata Tabago. A Piper Archer is based at KHWO, or North Perry Airport in Hollywood, FL with more aircraft planned to be added in the future. All four aircraft come with IFR certified GPS and are meticulously maintained. Club dues are under $100 a month and student membership deposits begin at only $500. In addition, students are offered discounts when they purchase block time, making the Octopus Flying Club an excellent resource for the pilot-in-training looking to have aircraft ownership benefits without the extra overhead. For more information about joining the club visit octopusflyingclub.com, email info@octopusflyingclub.com, or call 240-536-9163. The agents and pilots at Aviation Insurance Resources (AIR) are happy to assist flying clubs navigate the aircraft insurance industry. Flying clubs range in sizes in needs and AIR shops all of the aviation insurance markets to find a policy that is best suited to the club’s specific situation. To get started on your flying club insurance quote, click here to fill out an online application or call 301-682-6200 today! Reading Regional Airport (KRDG) in Reading, PA is home to one of the oldest continuously operated not-for-profit flying clubs in the United States. 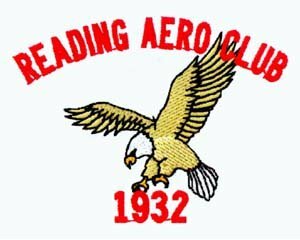 Officially founded in 1932 but with roots as early as 1929, the Reading Aero Club has been serving pilots for over eight decades. The clubhouse based on the west ramp of RDG does not resemble its predecessor at their original airfield which was dubbed by its first club members as the “chicken shack”. The modern day clubhouse serves as a location for meetings, social gatherings and a point of contact for aircraft rental. The area is bustling with the activity of 45 pilot members flying two flying club aircraft. Reading Aero Club history shows the club starting out with two Curtiss-Wright Juniors, then ownership of a Travelair biplane and several Aeroncas. Today, two IFR equipped and meticulously maintained aircraft reside in the club’s hangar: a Piper Archer III and a Cessna 172SP. 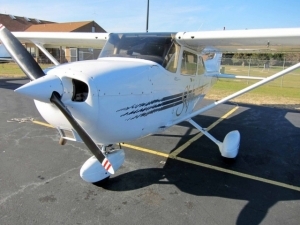 The aircraft are available for use by flying club members at inexpensive rates for anything from day trips to instruction. Three member flight instructors are available for student pilots or for those adding on additional ratings. The flying club websites contains an excellent graphic showing student pilots the money they’ll save while flying with the Reading Aero Club versus a typical flight school. The club has also been very active in giving back through volunteer flights with Angel Flight East, Veterans Airlift Command and Animal Rescue Flights. They are also involved in Reading’s World War II Weekend and Christmas in the air. Aviation Insurance Resources (AIR) has been assisting the Reading Aero Club with their flying club insurance needs for over 15 years. Offering flying club insurance to clubs of all sizes, AIR works with all the major markets to obtain the best rates at the broadest coverage available. Obtaining a quote for your flying club is as easy as calling 877-247-7767 or complete a flying club insurance quote form online today! Pilots looking for a low cost flying option, while developing new friendships with others who share the same passion for aviation need to look no further than the Reading Aero Club. With over 80 years of continuous operation, joining the Reading Aero Club is joining a piece of aviation history. To learn more and to complete an online membership application visit www.readingaeroclub.org. To learn more about the unique history of this club visit the Berks history Center website. Many pilots enjoy sharing their love for aviation with their families. At Duffy’s Aircraft Sales and Leasing aviation is nothing short of a family affair. 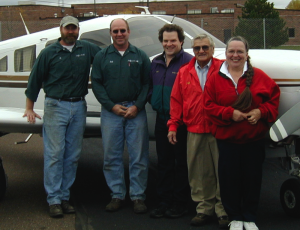 Founded in 1974 by Harold “Duffy” and Alice Gaier, Duffy’s Aircraft has locations both in Neillsville and Marshfield, Wisconsin. The Gaiers’ sons quickly joined in on the family aircraft business and all together, Duffy’s has been providing friendly and safe aviation services for over 40 years. Duffy’s offers it all, providing charter services, aircraft maintenance and even holiday light flights! For those considering becoming a pilot as a hobby or a career, a discovery flight at Duffy’s in just a step away. From there, training for sport pilot to commercial and advanced endorsements are available. Adding to the list of options at this flight school are on site computerized written exams and a designated examiner on staff. Tired of renting an aircraft? Duffy’s offers aircraft leasing! From Pipers to Cessnas, Duffy’s Aircraft provides aircraft leased exclusively to you or your club for long term use. Regardless if you rent or lease through Duffy’s, they recommend getting your aircraft insurance through their own broker, Aviation Insurance Resources (AIR). Since its inception, AIR has been providing Duffy’s Aircraft and their students and pilots, the best rates and the broadest coverages available in the insurance industry. Involved with aviation since the 1960’s the Gaiers are right at home at both Neillsville and Marshfield airports. With two locations and a wide variety of aircraft and pilot services, Duffy’s aircraft is the one stop shop in central Wisconsin for all things aviation. To see what else Duffy’s can offer you visit them online at DuffysAircraft.com or call the family at 715-387-2211. Office hours are 8AM until 6PM Monday through Sunday. As fellow aircraft owners and pilots, AIR understands your needs and challenges in properly insuring your assets. All of the insurance companies we represent are A.M. Best rated “A” or better. Best of all, AIR is licensed in all 50 states and represents all of the major aviation insurance markets. To find out more about non-owned aircraft insurance, insurance for a leased aircraft, or insuring or aviation business, please contact Aviation Insurance Resources by calling 877-247-7767 or visit AIR-PROS.com today to request your aviation insurance quote online! Many pilots believe aircraft ownership is only a dream, but then find that they can not only make that dream come true, but do so in a cost effective way: Through a flying club. When someone buys a share in a flying club, the annual aircraft costs are distributed amongst the group, resulting in less out of pocket expenses and more time in the air for the pilot. It is not a surprise that one of the most important costs of flying clubs is insurance. Typically, due to the nature of risk that flying clubs present to the insurance industry, only a certain level of liability limits are available. Recently, a major organization has announced their ability to offer increased liability limits in flying club insurance. This, in fact, is no surprise to the aviation insurance industry, and something that the knowledgeable agents at AIR have been offering for years and are delighted to offer to flying clubs. Most flying club insurance policies offer a $1,000,000 combined single limit property damage and bodily injury limit with a $100,000 per passenger sublimit. Sometimes, flying clubs are interested in higher limits but find that they are not always available through their current insurance policy. While higher limits sometimes cannot be offered through the flying club insurance policy, higher limits for an individual member of the flying club can be achieved through ‘stacked limits’. Higher liability limits are available to individual members of the flying club by establishing individual a non-owned aircraft policy. This affordable policy will be “stacked” upon the main flying club insurance policy offering extra limits for that individual. At AIR, we provide a full range of aircraft insurance and aviation insurance products, including Flying Club Insurance. We pride ourselves on finding the insurance policy that best meets the needs of ALL of your members, no matter the size of the club or the type of aircraft. AIR agents believe in serving your flying clubs needs with integrity, by informing the club of all the necessary options to cover your insurance risk. AIR will work diligently to find a flying club insurance policy that offers increased limits or will inform the club if we determine that stacked limits are the best route. AIR represents all of the major aviation insurance markets, so it is no surprise that we offer the broadest package of protection at the best available rates. To find out more about Flying Club Insurance, please contact Aviation Insurance Resources by calling 877-247-7767 or visit AIR-PROS.com today and receive a free Aircraft insurance quote! You can also follow us on Facebook, Twitter, LinkedIn, Pinterest, and Google+.